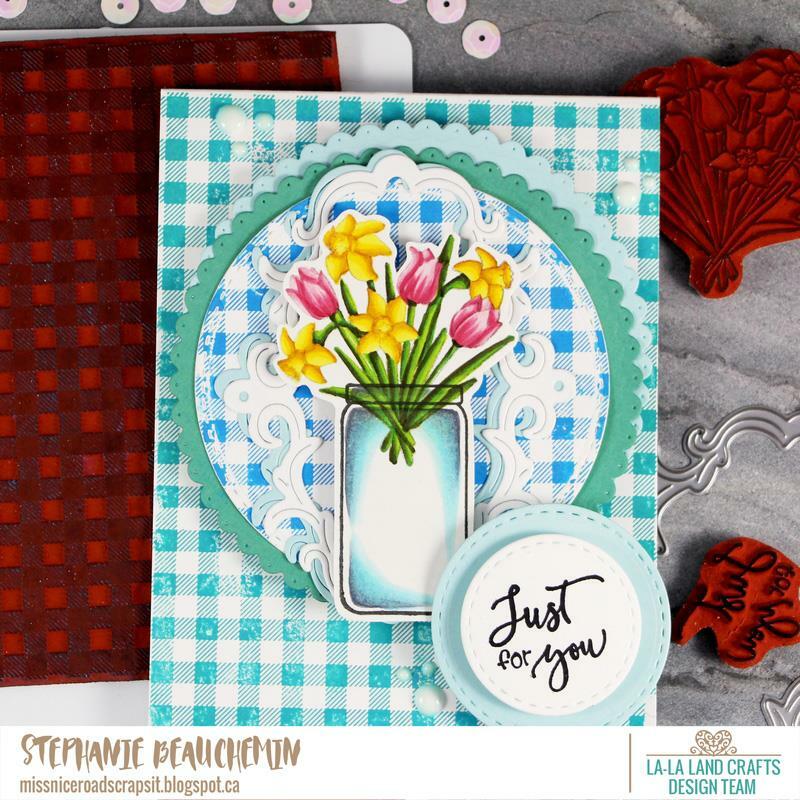 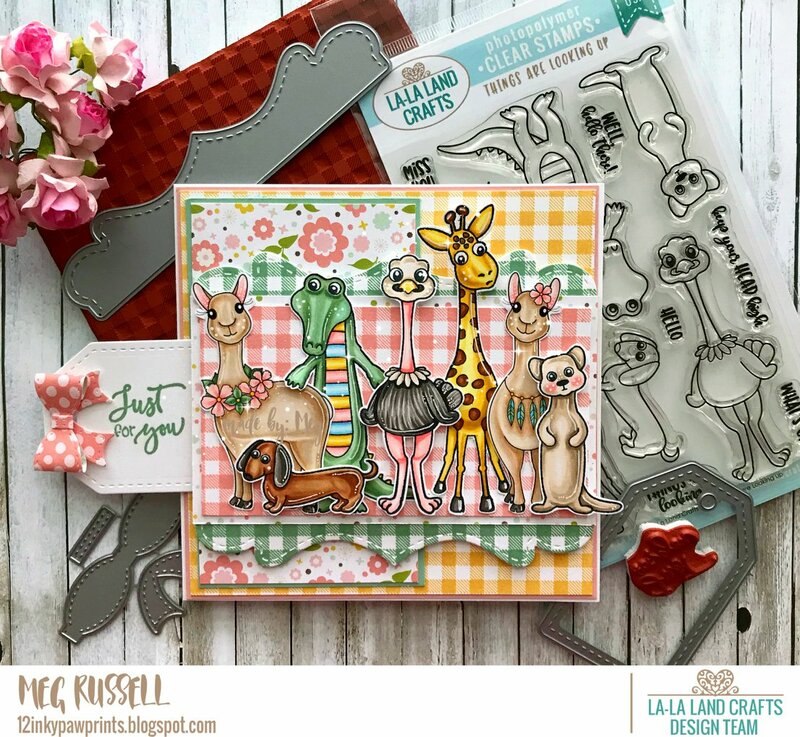 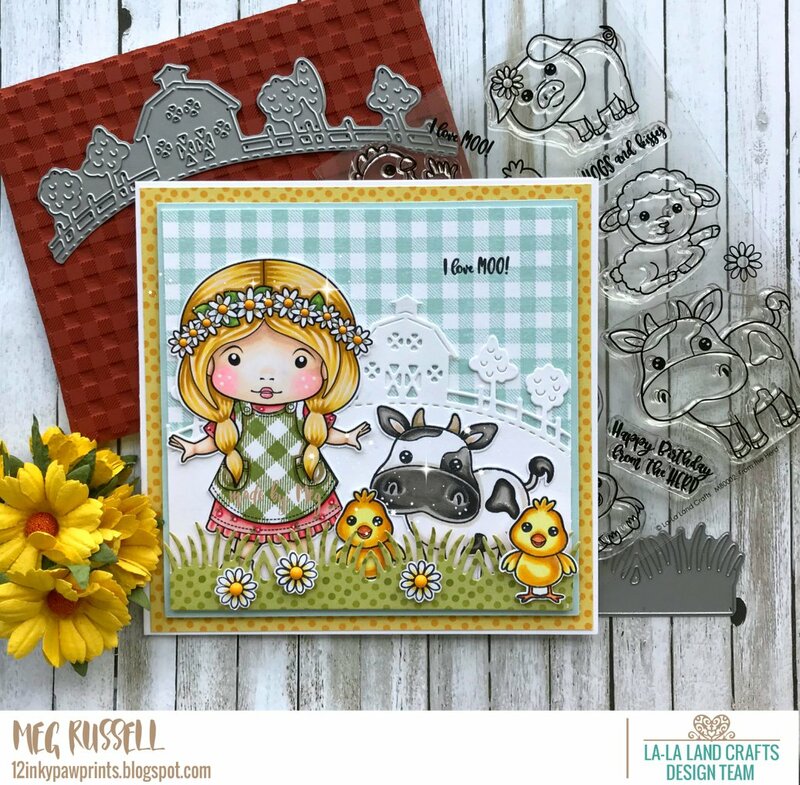 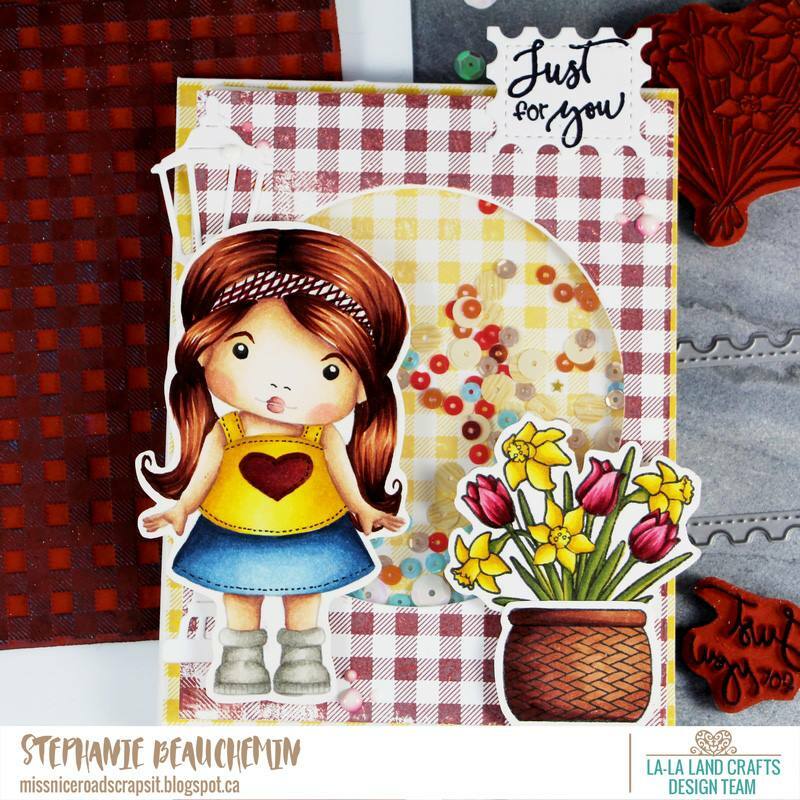 This stamp consists of 1 large background stamp, 3 coordinating stamps and 1 sentiment. 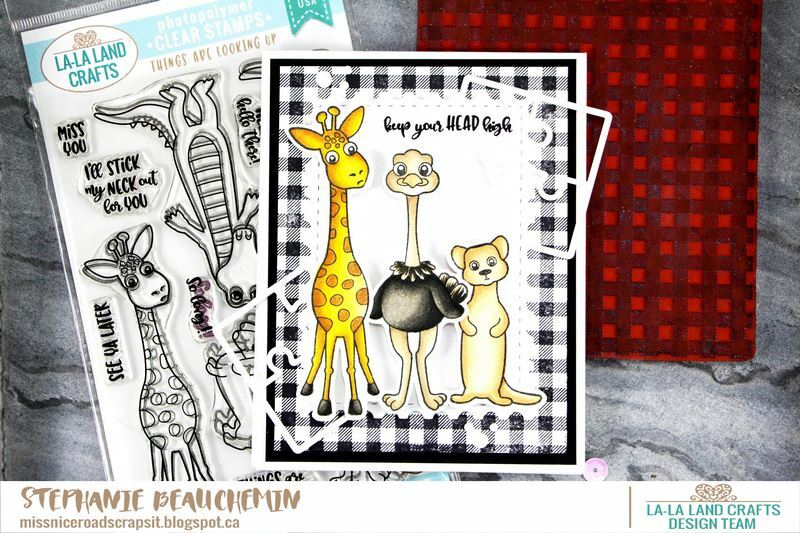 The background stamp measures approximately 4 1/2" x 5 1/2". 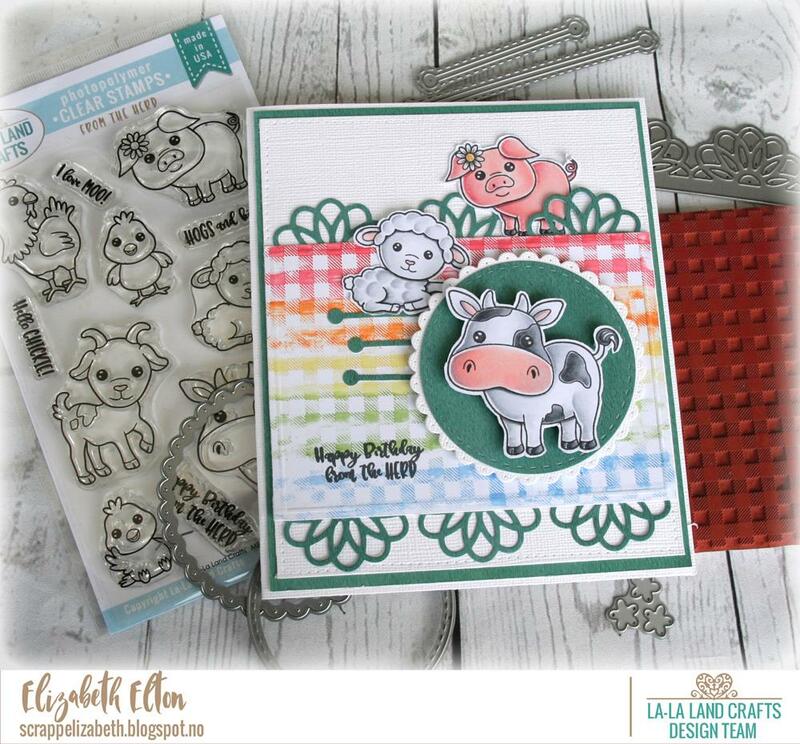 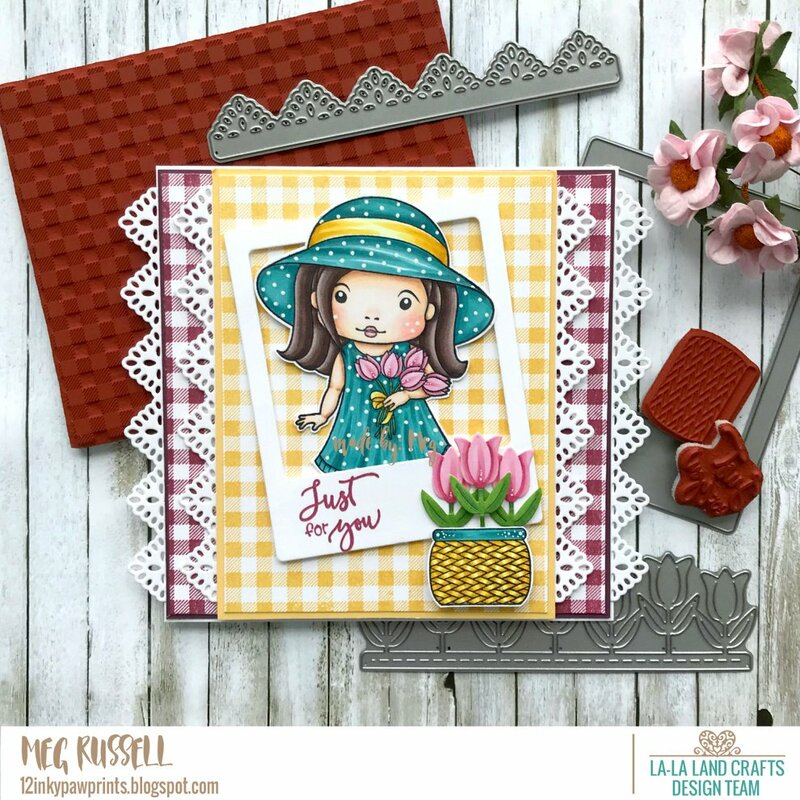 I love gingham and this background stamp is awesome. 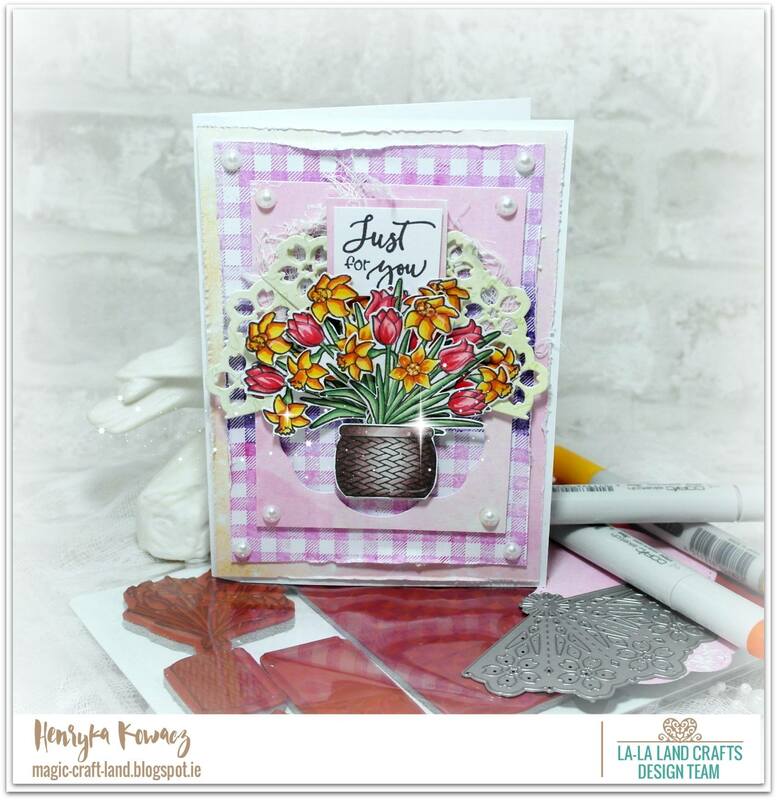 I can make my own backgrounds in any color to fit my card. 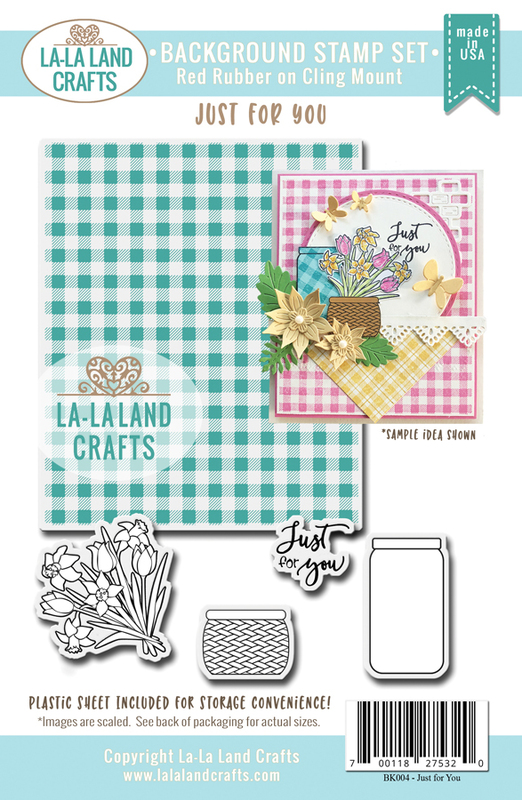 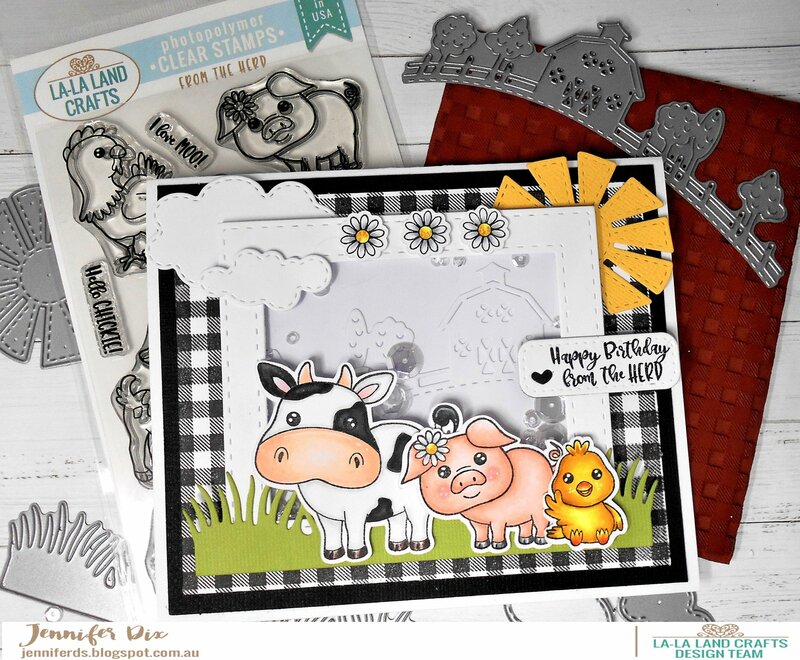 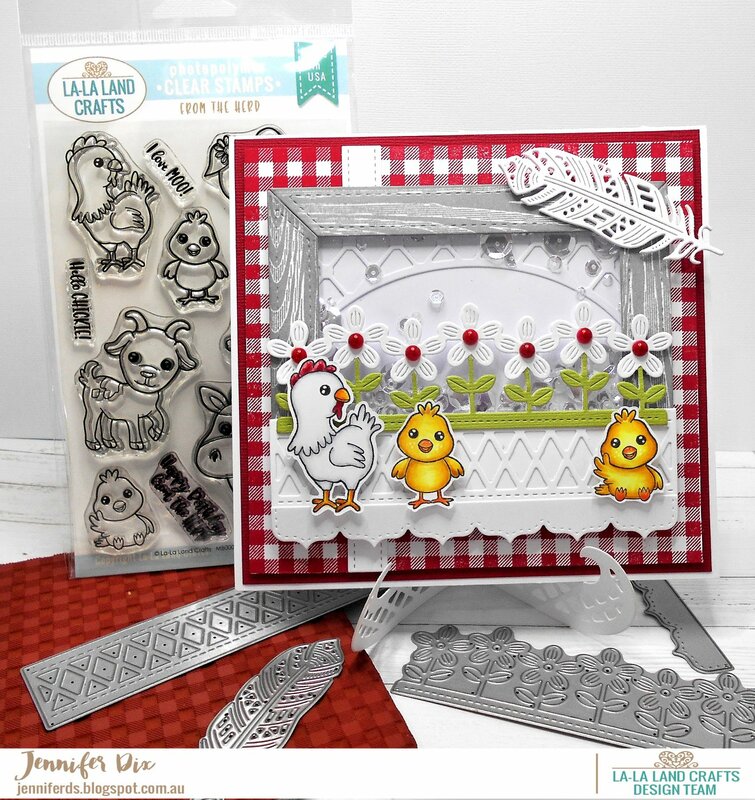 It can also be used for creating interesting die cuts in gingham. 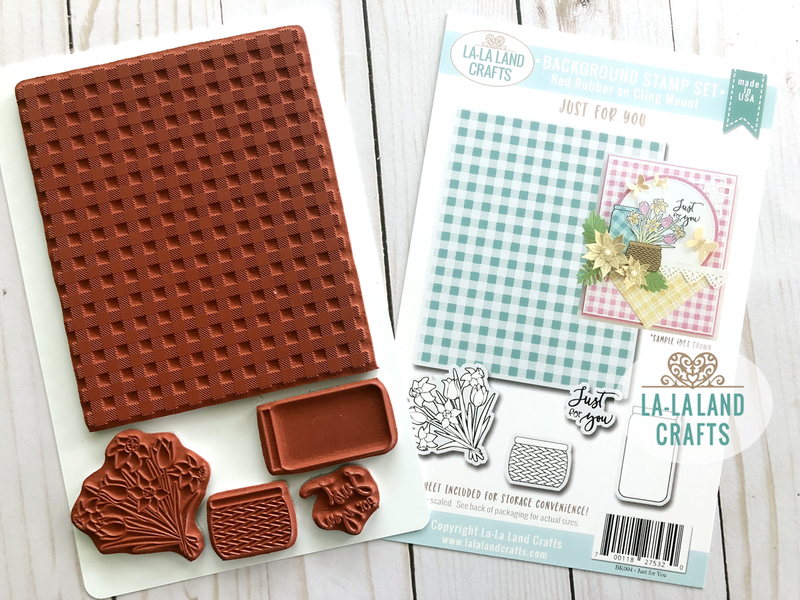 I am loving these rubber stamps from LaLaLand Crafts. 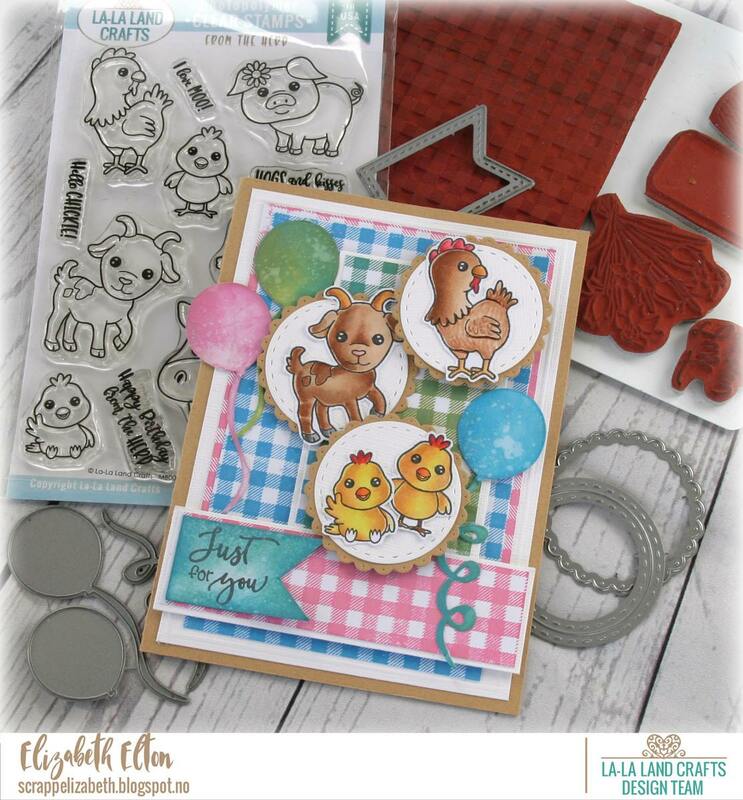 They are a very good quality and these are great These large rubber stamps are a great quality and I love the way they are packaged. 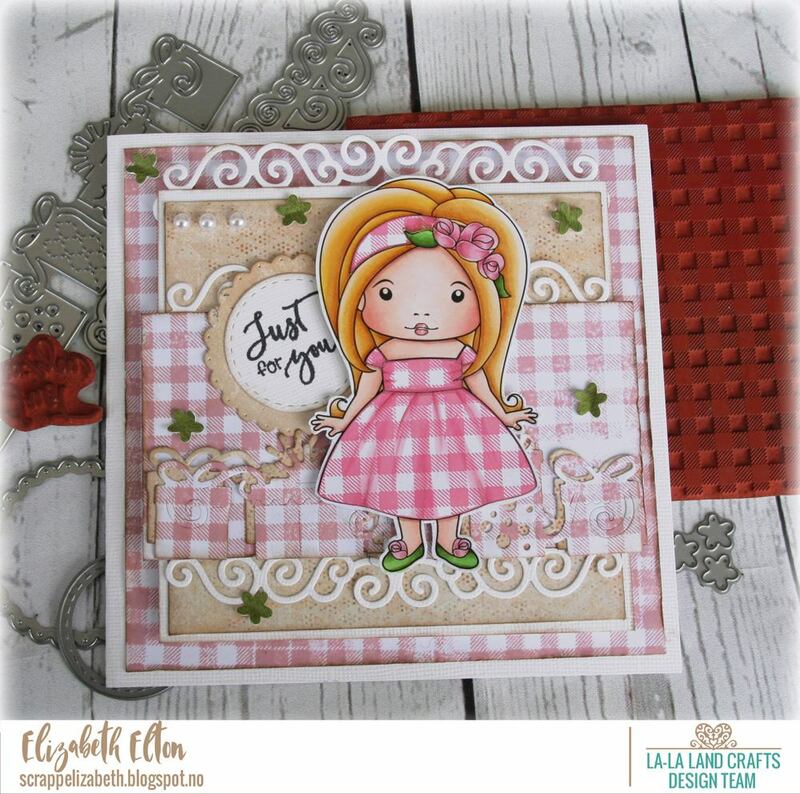 Another stamp from LaLaLand Crafts that is one of my favorites and I will be using it alot.